This ticket allows a person (12+ years old) general entry to the festival (not campsite) across the weekend, Friday 30th August - Sunday 1st September 2019. This ticket allows a person (12+ years old) general entry to the festival (not campsite) on Saturday 31st August 2019. This ticket allows a person (12+ years old) general entry to the festival (not campsite) on Sunday 1st September 2019. This ticket allows a person (12+ years old) general entry to both the festival and the campsite across the weekend, Friday 30th August - Sunday 1st September 2019. This ticket allows a child (3 - 12 years old) general entry to the festival (not campsite) on Saturday 31st August 2019. Please note: Entry to the festival is free for children aged 3 years old and under. This ticket allows a child (3 - 12 years old) general entry to the festival (not campsite) on Sunday 1st September 2019. Please note: Entry to the festival is free for children aged 3 years old and under. 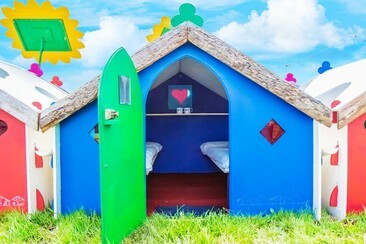 This ticket allows a child (3 - 12 years old) general entry to both the festival and the campsite across the weekend, Friday 30th August - Sunday 1st September 2019. Please note: Entry to the festival is free for children aged 3 years old and under. This ticket allows a child (3 - 12 years old) general entry to the festival (not campsite) across the weekend, Friday 30th August - Sunday 1st September 2019. Please note: Entry to the festival is free for children aged 3 years old and under. Based on the original Podpad, the scaled-up Luxpad offers 50% more floor space and an increased head height of over 2 meters, bringing home from home comforts to any field, festival or event. 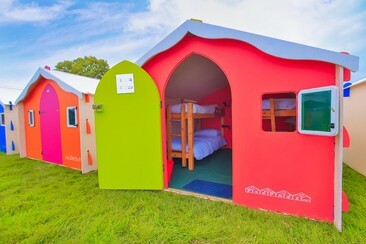 Bunkpads are built with the same external structure as the Luxpad but are kitted out to provide accommodation for 4 people. 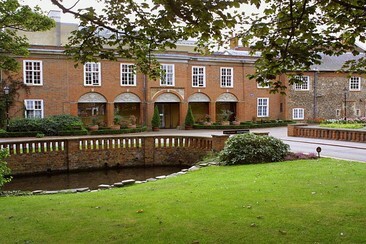 Hitchin Priory was originally a Carmelite monastery built in 1317, set in 19 acres of beautiful tranquil parkland, only one minutes’ walk from Hitchin town square. The hotel is just 5 minutes from Hitchin train station and 15 minutes from Luton Airport. 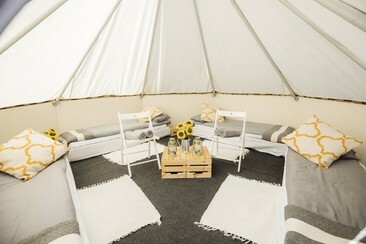 There are 15 meeting rooms, which can accommodate up to 90 people, as well as a marquee for weddings and private functions for up to 200 people. The hotel combines period charm, authentic original features and impressive historic character with modern comforts and contemporary facilities. 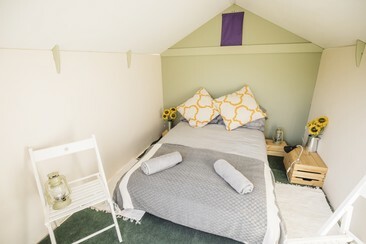 There are 52 ensuite rooms with bath or shower and each room has free Wi-Fi, flat-screen TV, tea and coffee making facilities and central heating. Surrounded by natural beauty and historical landmarks, the Hertfordshire town of Stevenage is the location of the 4 star Holiday Inn Stevenage hotel. Within the Holiday Inn Stevenage is the contemporary Destinations Restaurant and Bar. The stylish décor of this new Stevenage restaurant goes hand in hand with a tantalising international menu that will inspire your imagination and taste buds with a taste of ‘Destinations’ around the globe. Alongside these exotic options there are a number of classic dishes. 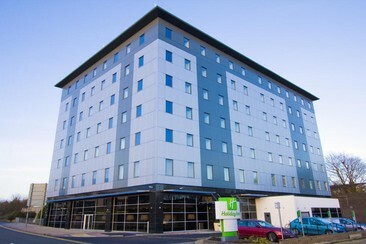 Situated in Stevenage town centre, just off junction 7 of the A1(M), the hotel is in an ideal location for travellers. This ticket allows entry of one vehicle at the festival from Friday 30th August to Monday 2nd September 2019. This ticket allows entry of one vehicle at the festival on Saturday 31st August 2019. This ticket allows entry of one vehicle at the festival on Sunday 1st September 2019. This ticket allows entry of one Campervan / Motorhome / RV up to 6 meters in length across the weekend, Friday 30th August - Sunday 1st September 2019. This ticket allows entry of one Campervan / Caravan / Motorhome / RV over 6 meters in length across the weekend, Friday 30th August - Sunday 1st September 2019. 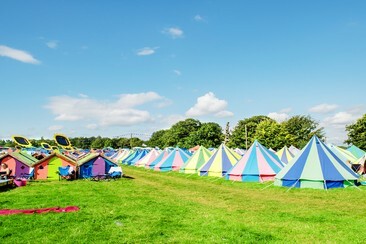 This ticket allows entry of one Caravan up to 6 meters in length across the weekend, Friday 30th August - Sunday 1st September 2019. A return coach from Milton Keynes, operated by Big Green Coach. A return coach from Northampton, operated by Big Green Coach. 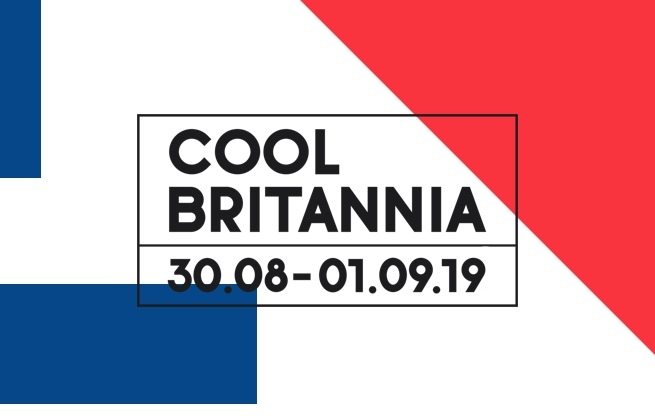 Away from the music, Cool Britannia also lays on a diverse programme of other activities, including a funfair, karaoke, circus shows, and a dedicated kids zone to make sure all ages are entertained. Knebworth Park is a huge country estate in Knebworth, just north of London.